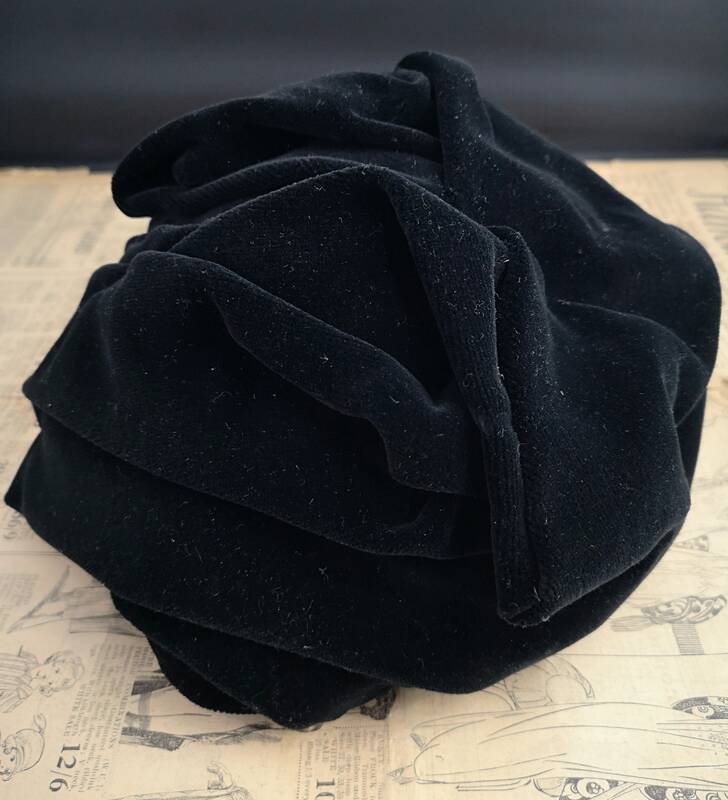 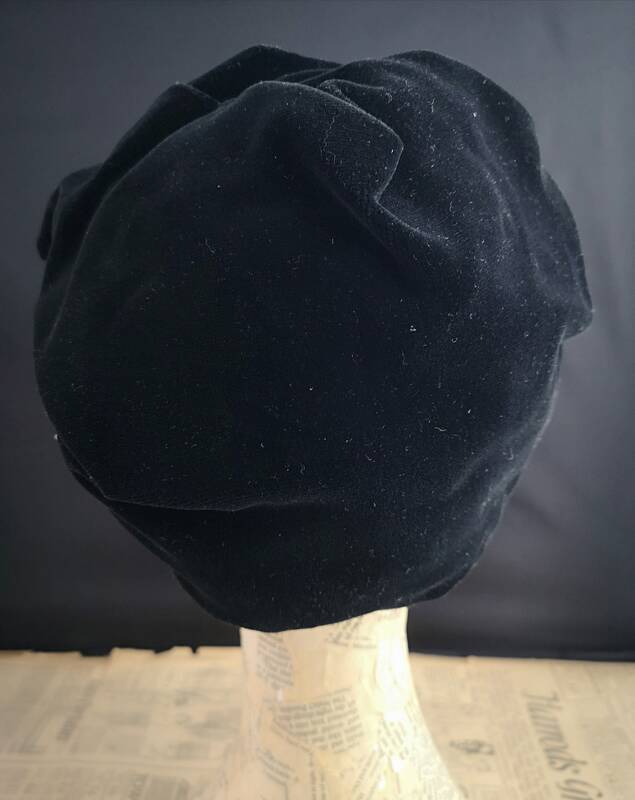 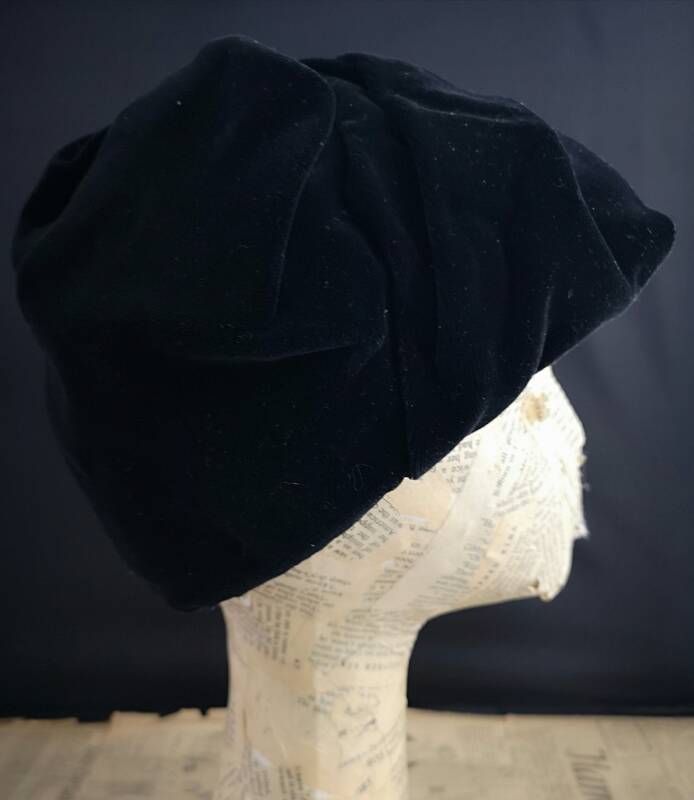 A stylish and versatile 1940's black velvet hat. 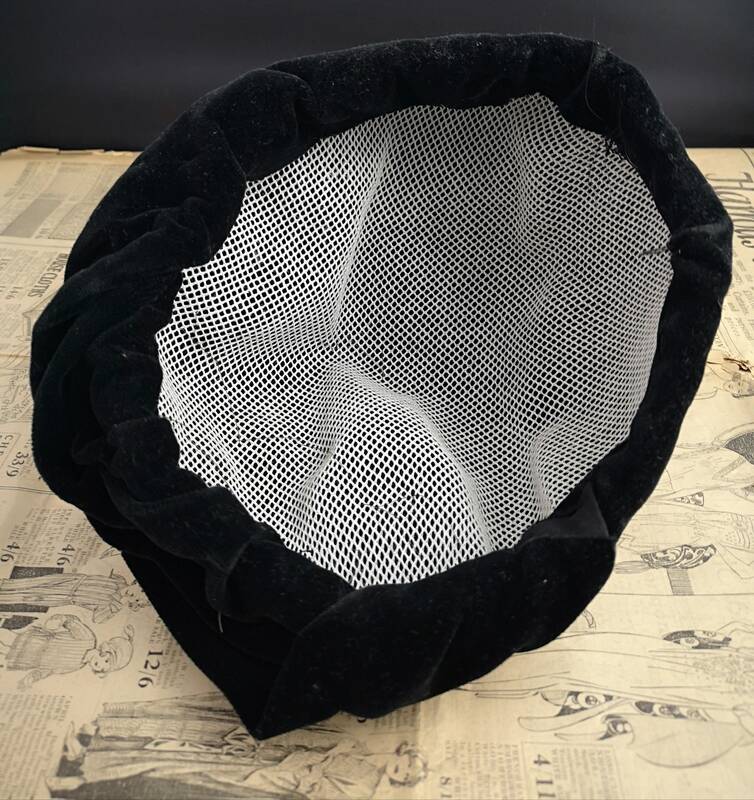 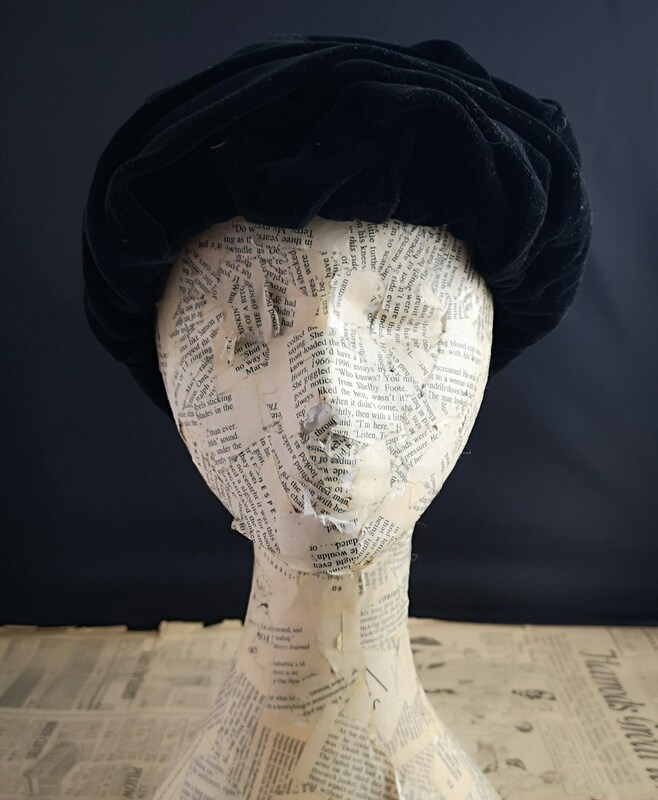 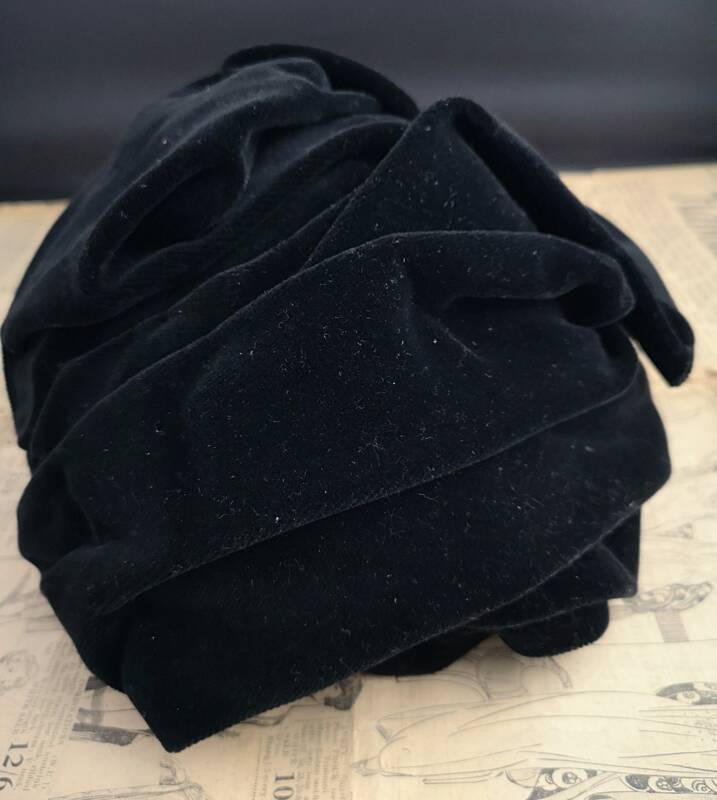 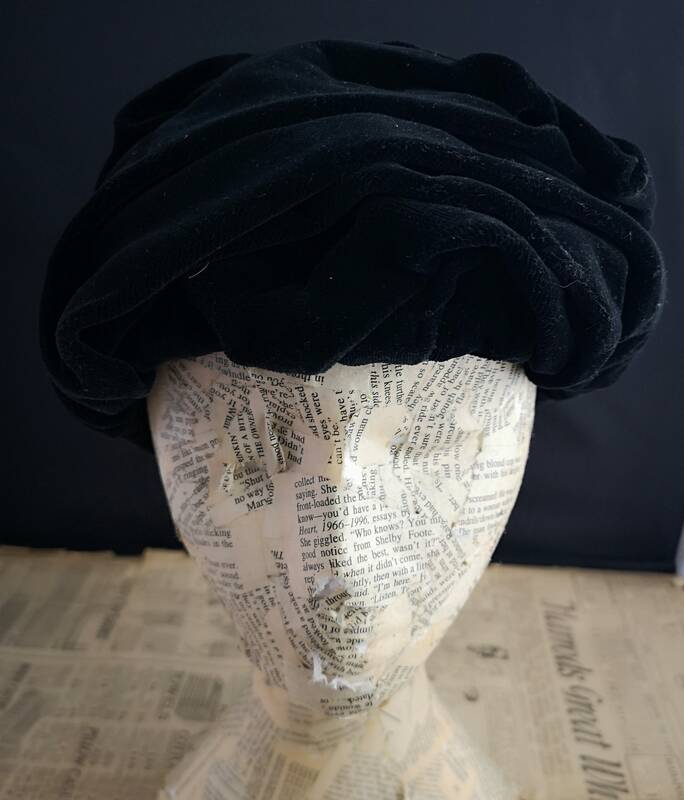 It is a skull cap type fitting with layers of ruched black velvet giving it an almost turban like appearance. 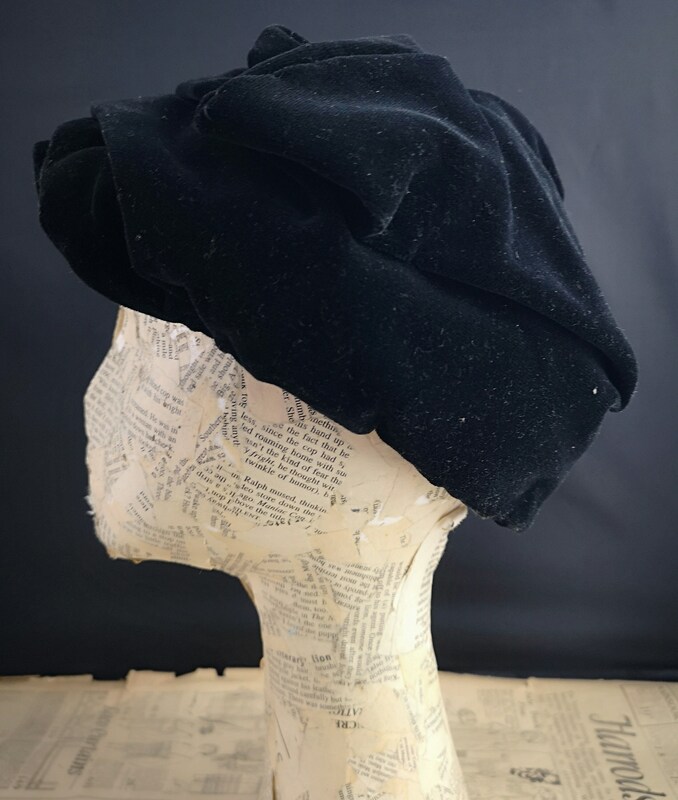 Good vintage condition, it may need going over with a lint roller as it picks up dust etc easily.